The wind girts on a metal building support the metal siding. 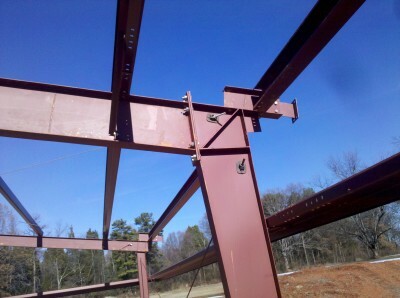 In technical terms, they transfer the wind load from the siding to the vertical supports. 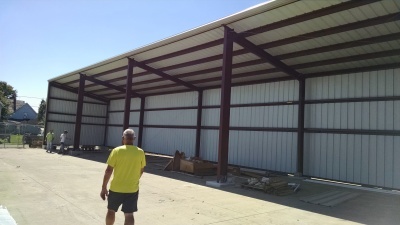 The wind girts are needed because, even though our metal siding is very strong and durable, it is not rigid enough to span the entire vertical height of a building without buckling in high winds or in the event of an impact in which the metal panels need some back-up.